With Uber, Fake News, and real news on digital’s adverse affect on mental health and the abuse of data, we are constantly reminded that a utopian ‘digital future’ will not happen of its own accord. 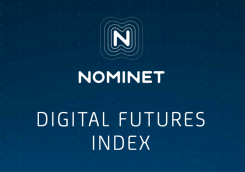 The Digital Futures Index is one part of a project convened by Jericho on behalf of Nominet. As the official registry for UK domain names, Nominet has unique view on the digital progress of the UK and what it takes to bring about a vibrant digital future, one that is inclusive, benefitting the many, not the few. The approach Nominet and Jericho have taken is rooted in the view that technology – and the internet – can (and should) be a powerful force for social and economic good. To realise the potential of this, ambition is necessary, priorities must be clear and, importantly, what gets measured must get done. The Digital Futures Index includes a range of metrics to inform the strategy for realising this. The wider project seeks to encourage debate on what matters most as the UK’s digital future evolves. The Index was researched by Andrew Gunn, who spent much of the year canvassing views from across the UK – from Old Street to Oldham – examining real-world views (as shown in the video below) alongside those of experts from academia, business, government and education to identify the key factors that will determine ‘success’ in the digital sphere. The project involves updating the Index annually to assess whether the UK is making the ‘right’ kind of progress towards an inclusive, connected and secure digital future. Below are a few of the metrics Nominet highlighted as areas that will require constant improvement for a digital future that works for everyone. 56% of adults think that technology will benefit them in future. 37% believe it has benefited them in terms of relationships, 22% believe it will benefit them in terms of reducing crime. 57% of UK adults are worried their personal data will be stolen. The pre-war generation are warier still, with 67% concerned about personal data theft, compared to 52% millenials. But the pre-war generation are more trusting of government’s digital interventions, with 27% of the pre-war generation believing the government watches everything they do online, compared to 40% adults on average. 12% millenials suffered mental health issues as a result of social media in the last year. Only 31% of STEM students are female. 40% of the UK is covered by 4G on average. 13% of Wales is covered by 4G and 12% Scotland. Gross Domestic Expenditure on Research and Development (GERD) accounts for 1.7% GDP, or £486 per person. Of the 215,755 tech businesses in the UK, 54,000 of these have employees. 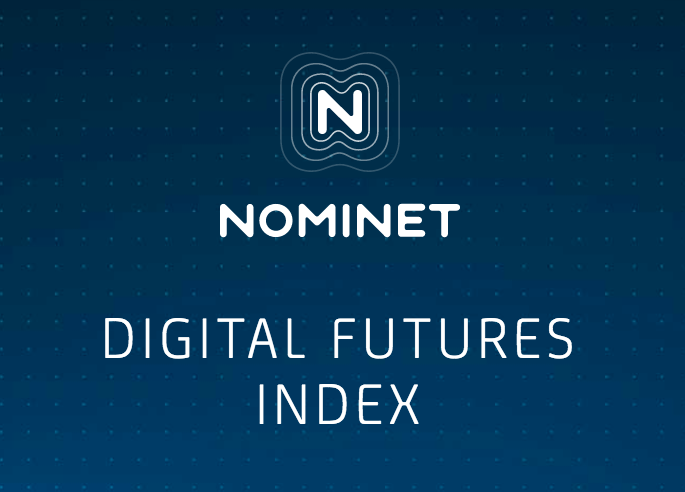 The full Digital Futures Index is available to view here, on the Nominet website. It includes further metrics on progress and strategy for bringing in a Vibrant Digital Future, all of which will remain updated.